Following the previous success of Skylanders Giants and Skylanders Swap Force, my boys already had the Skylander bug, We were super excited when earlier on in the year we were part of the brand new innovation launch of this amazing new Skylander Trap Team. 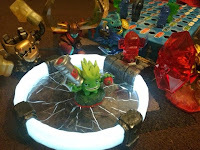 Skylanders Trap Team offers a unique gaming experience as with previous games the physical toys are brought to life inside the game. Skylanders Trap Team sees Kaos continue his ongoing quest to rule over Skylands and now he has has discovered the location of the legendary Cloudcracker Prison a fortress built out of the magical substance Traptanium. In an attempt to build his own army of foes, Kaos blows up the prison, releasing the most wanted villains and blasting shards of Traptanium to Earth in the form of Traps. Now it’s up to Portal Masters to recapture all of the escaped villains using powerful Traptanium Traps and defeat Kaos before it’s too late. 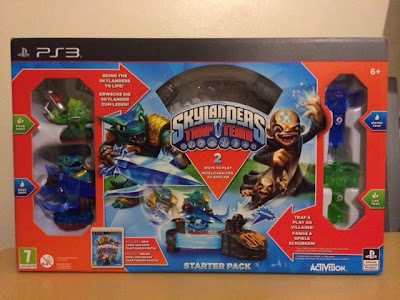 This is where the real adventure begins, we were super excited at this amazing level of gameplay not only can we collect and build up our Skylander Trap Team Characters, but now we can trap the baddies inside the traps and get them to fight for us, How awesome is this. 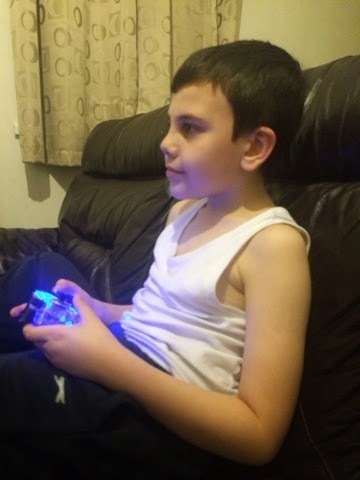 The boys have had an absolutely amazing time and really enjoy capturing the villains inside, with the all new exciting adventure, cool characters and amazing game play we are completely hooked, and a huge plus is that we can use all of our previously collected Skylander Characters in this game, this has made us even more loyal to the Skylander experience, the fact all of my children's collection is transferable through all the Skylander games give Skylanders a longevity the we are excited to be part of.